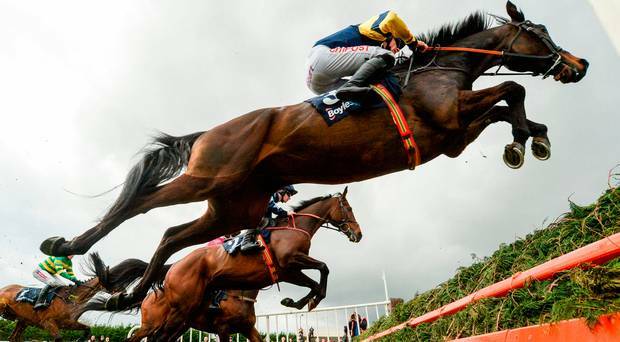 Staged at Fairyhouse racecourse the 2019 Irish Grand National is run over a trip of 3m5f with 24 fences to be jumped. The gruelling contest is always staged on Easter Monday (22nd April 2019), while several Irish Grand National winners have also won the Aintree Grand National, but none in the same season – Bobbyjo and Numbersixvalverde are recent examples of this. For example, did you know? The 15 of the last 16 winners carried 10-13 or less in weight, while 14 of the last 16 successful horses were Irish-bred. We’ve also seen just twos winning favourites in the last 16 renewals, while 12 months ago in 2018, trainer Gordon Elliott won the Irish Grand National for the first time with his 9 year-old General Principle.